The PADI Enriched Air Diver course is PADI’s most popular specialty scuba course. Why? Because scuba diving with enriched air nitrox gives you more dive time, especially on repetitive scuba dives. 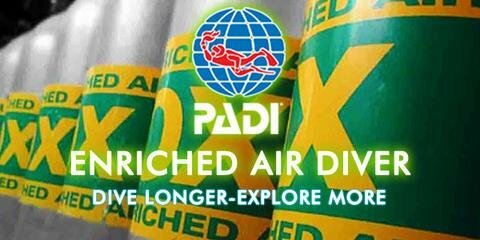 If staying down longer and getting back in the water sooner sounds appealing, then don’t hesitate to become an enriched air diver.